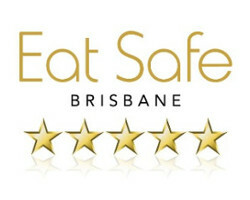 Ab Fab Catering has played a major part in the Brisbane catering scene since 1989, providing excellence in private function and corporate catering. We pride ourselves on building lasting partnerships with our clients and our philosophy is simple; 'fresh produce well prepared, served with a smile'. Ab Fab Catering have been Brisbane’s catering specialists since 1989 and in that time have developed a range of delicious menus suitable for all occasions, ensuring we are able to meet all needs and requirements. Our menus range from budget finger food and office catering to gourmet BBQ and fine dining options, allowing us to accommodate both private and corporate functions. Our beautiful food is just part of what we do, if you really want your function to stand out we can also provide beverage packages and staffing. This is ideal if you are hosting a big event or just need an extra pair of hands. Our staff are experts in hospitality and will help you provide a memorable event for all of your guests. Our corporate catering Brisbane packages are flexible and we take pride in accommodating to all of your needs and requirements. We deliver a catering package that is ideally suited to your event. Don’t settle for a set menu or limited options, at Ab Fab catering we pride ourselves on delivering catering packages that are individually tailored to match all of your needs and requirements. Do you need to cater for specific dietary requirements? Unlike many caterers in the industry, we have a flexible approach and ability to provide catering services to accommodate all needs. Just let us know and we will provide you with a range of delicious options that can help please all of your guests. At Ab Fab Catering we have a team that are passionate about catering, a team of professionals that are dedicated to making your event stand out.